Boy, things are getting really fun now. 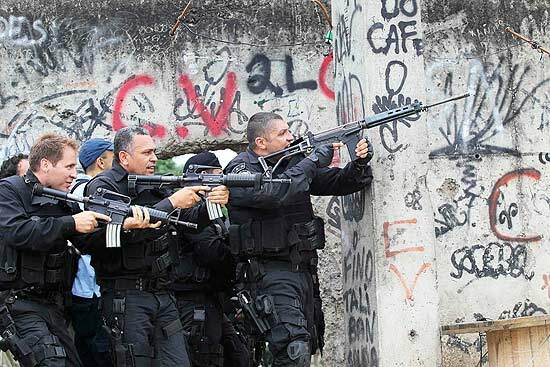 The army, the navy, the cops and the elite cops (BOPE) all working together to take over the favelas. Never before has this country seen such a great operation to make things safer. 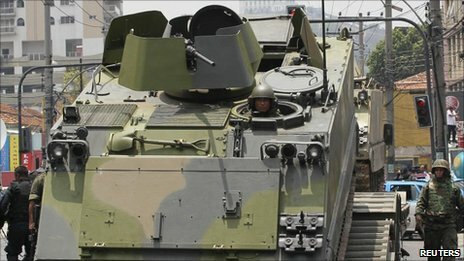 "Police in the Brazilian city of Rio de Janeiro have deployed armoured vehicles in a shanty town as they continue operations to stem a wave of violence. 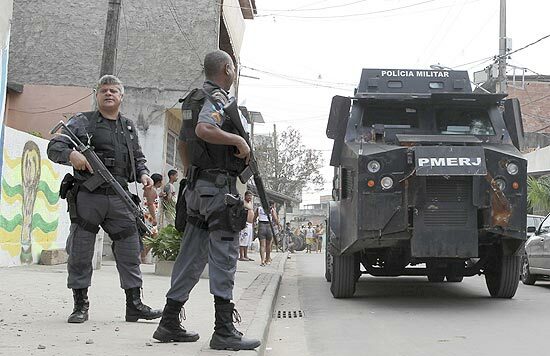 Six vehicles transporting heavily armed police rolled into Vila Cruzeiro, in the north of the city. Clashes in Rio since the weekend have left more than 20 people dead." Seems like a lovely place to live. Also, why are all those rifles naked? Who the hell uses iron sights in this day and age? lmao. Freeman45;5433061Seems like a lovely place to live. it's brazil, great if you're rich, terrible if you're poor. Along with Russia, India and China, it's one of the most likely future candidates for being an economic superpower, but like the latter 2, there's a massive divide between the rich and poor. there's a massive divide between the rich and poor. As well as in the United States. We laugh at these third world countries yet in 50 years or so we might be in the same position.